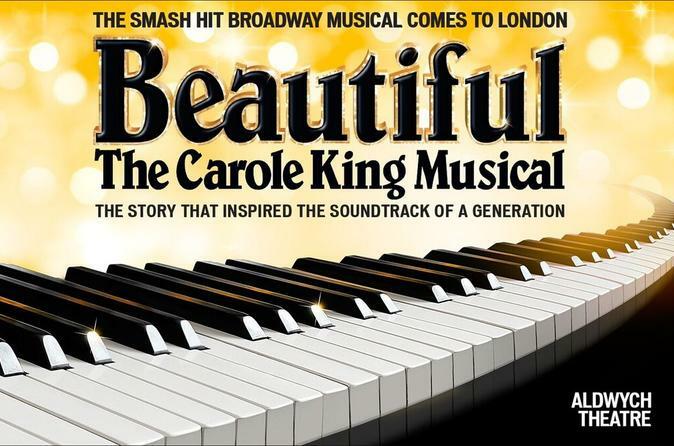 Follow the rise to fame of American songwriter Carole King at 'Beautiful: The Carole King Musical' at the Aldwych Theatre in London’s West End. A show that wowed audiences and critics on Broadway, the musical recounts the story of this feisty, chart-topping legend from childhood to ‘Will You Love Me Tomorrow,’ her first hit on the path to becoming one of pop’s top names. Lose yourself in songs that became generational soundtracks, including ‘You’ve Got a Friend,’ ‘Up on the Roof,’ ‘Locomotion’ and more, all performed by a standout cast. Wheelchair locations are available on a request basis only.